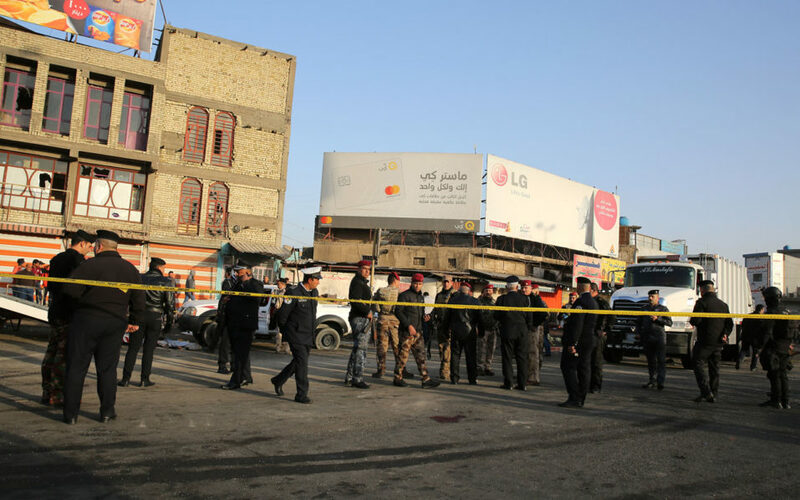 Iraq’s Prime Minister Haider al-Abadi called for the elimination of jihadist “sleeper cells” Monday after a twin suicide bombing killed 31 people in Baghdad in the second such attack in three days. There was no immediate claim of responsibility, but most such attacks in Iraq are the work of the Islamic State jihadist group. The bombing comes after Abadi’s government declared victory over IS in December and as the country gears up for parliamentary elections. A police officer reported “31 dead and 94 wounded”. Abadi held an emergency meeting with the Joint Operations Command and intelligence officials after the attack, his office said, asking them to “eliminate IS sleeper cells and protect the security of civilians”. Analysts have warned that IS would increasingly turn to such tactics as it was pushed underground after losing territory spanning the Iraq-Syria border. Just hours after the first attack, another bombing in the east of Baghdad killed one person and wounded three, the police officer said. Attacks increased in Baghdad after the start in 2016 of a battle to retake second city Mosul from IS. Iraqi forces retook the northern city in July last year. In December, the government announced the “end of the war” against IS, which has been expelled from the Baghdad region and urban areas of Iraq that it controlled. Jihadist elements are still active, however. The bombings come as Iraq gears up for elections in May, with voters deeply concerned about security in a country wracked by violence since the 2003 US-led invasion. On Sunday, Abadi said he would stand for re-election in the parliamentary polls as the head of a new coalition. Abadi’s newly created “Victory Alliance” will compete against the “State of Law” bloc of Nuri al-Maliki, his predecessor and a key rival who now holds the post of vice president. In November, IS claimed an attack by suicide bombers on a market on the outskirts of Baghdad that killed 11 people.